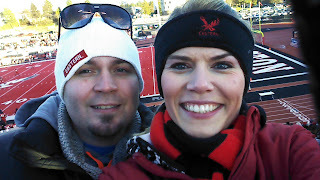 This last weekend we went and watched my alma mater- the Eastern Washington University Eagles- play in the quarterfinal playoff game against Illinois State. I was really excited for the game, but not not looking forward to freezing my tail feathers off. It was a cold day and when you are just standing outside for hours on end you get miserable real quick. 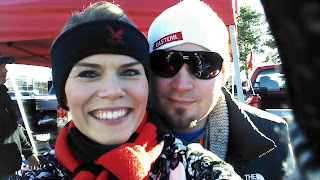 The weekend before we watched game and I was not prepared for the weather. Within minutes I was freezing and miserable. This time around I tried to be a bit smarter. Do you want to guess how many layers I have on? I had on 1 pair of compression sleeve socks, 2 pairs of pants with an additional set of knee high socks. I also was wearing my NorthFace winter boots. On top I had 2 pairs of Brooks arm sleeves, 2 long sleeve shirts, my new Lululemon sweatshirt, EWU scarf & fleece headband and my NorthFace gloves. 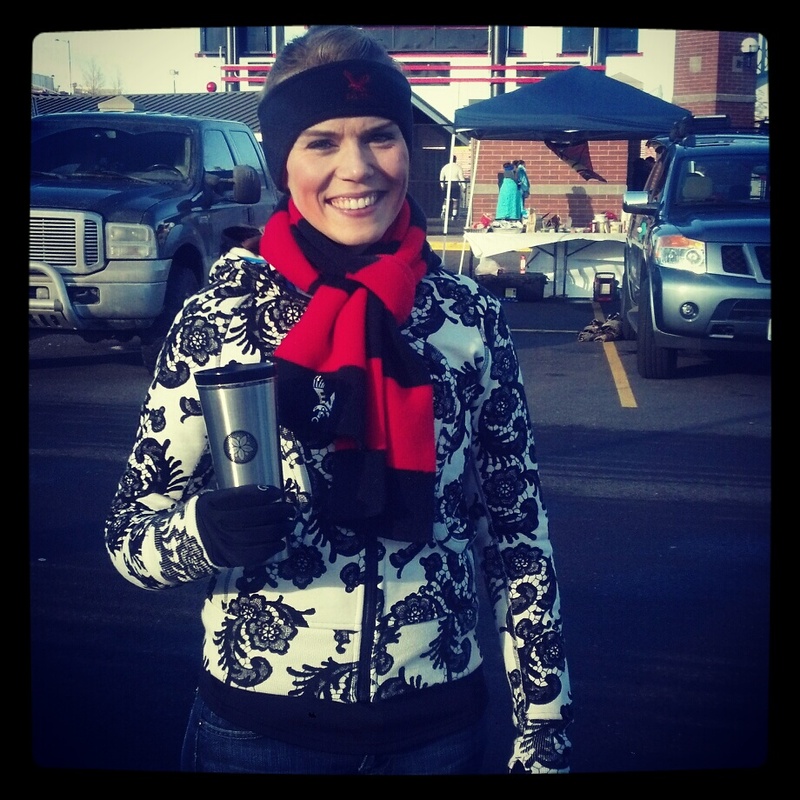 I also had an EWU jacket, feet warmers in my boots and hand warmers in my gloves. Sipping on hot chocolate. This next weekend I will probably wear the same thing + I might even bring a blanket. 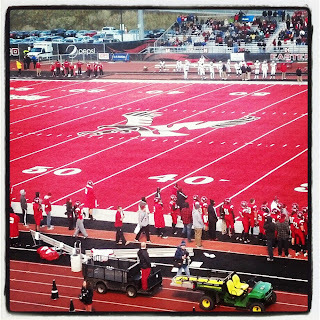 EWU will play Sam Houston this Saturday in Cheney at 1:00 pm. If they win (THEY WILL WIN) they will play in Frisco, Texas for the National Championship. 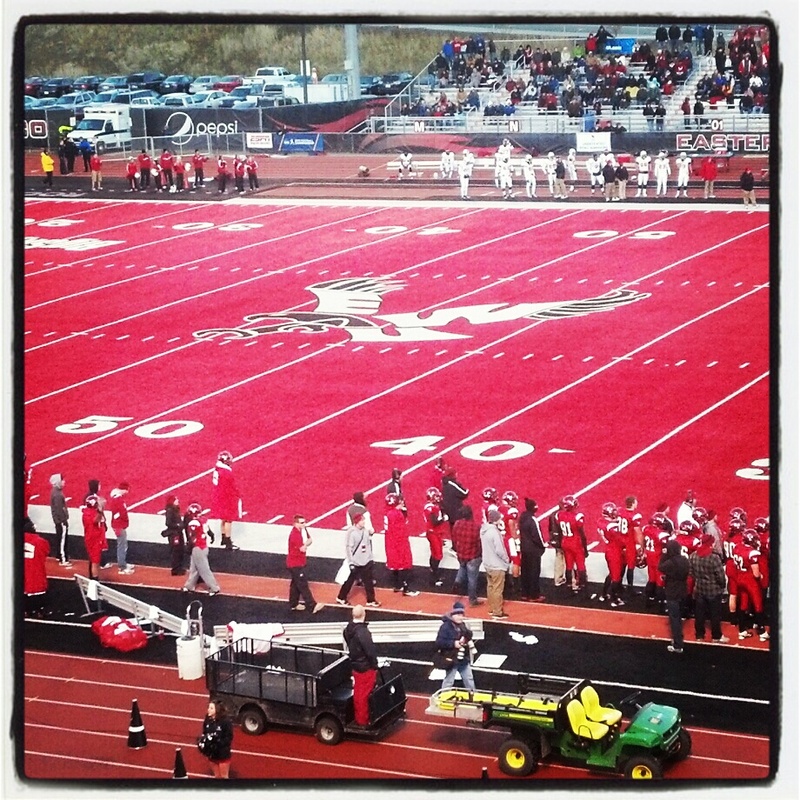 GO EAGS!!! !